The High Lava Plains (HLP) project, located in eastern Oregon and surrounding portions of Idaho and Nevada, is a multidisciplinary effort to understand the causes of continental intraplate magmatism. 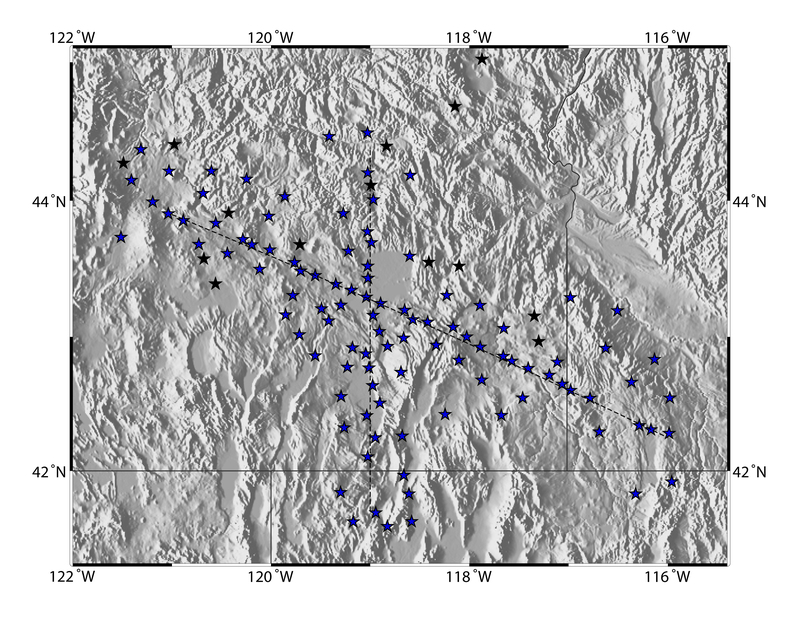 The project incorporates one of the largest single-purpose deployments of broadband seismometers in the world -- the final network spans 118 station locations, with up to 104 broadband seismometers operating simultaneously. Seismometers were provided by IRIS PASSCAL, Carnegie Institution of Washington (DTM) and Arizona State University (SESE). 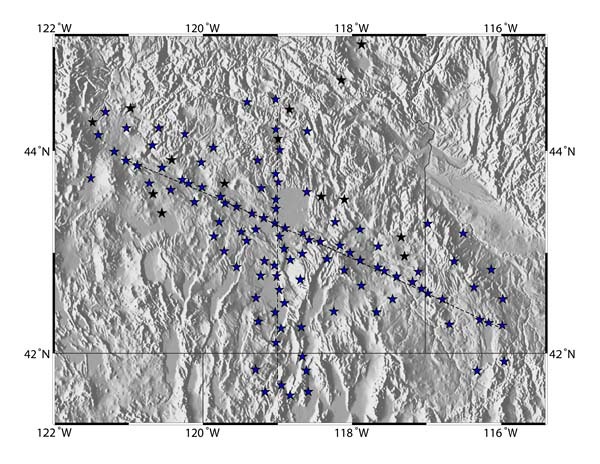 As a student of seismology and a contributor to the evolving design of the seismic stations, I thought it worthwhile to document in this web site the procedures and practices we developed in locating, constructing, and installing a station. I recognize that there are roughly as many methods of implementing a seismic station as there are seismologists doing so. This site is not intended to prescribe the "best" way, but will hopefully find use as a starting point from which researchers can develop their own best practices. I would appreciate suggestions or comments on how to improve the station design; where possible I would like to incorporate your ideas into the site to make it more useful for all. This web site, and the HLP project broadband seismology experiment, would not be possible without the efforts and expertise of the two senior broadband seismology Principal Investigators, David James and Matt Fouch, station siting expert nonpareil Jenda Johnson, local support above and beyond the call by Verne Brown, Jr., Joel Swindlehurst, and the rest of the folks at the EOARC, and the dedicated field work by (in no particular order) Kevin Eagar, Shaji Nair, Jeff Roth, Angela Magee, Maureen Long, Chunpeng Zhao, Patty Lin, Kelsey Druken, Mark Ford, Katie Cooper, Caroline Beghein, David Trench, Steven Golden, Lara Wagner, Abigail Bull, Eli Aller, Zack Bowles, Erin Wirth, Emme Johnston, Krissandra Wright, Wen-che Yu, Steve Holloway, Lauren Mattatall, Noel Barstow, Steve Azevedo, George Slad, Michael Johnson, Tim Parker, Mike Iademarco, Peter Burkett, Jim Fouch, Kanglin Xu, Jim Fowler, and Rick Carlson. I count myself very fortunate to have the opportunity to participate in this project. The HLP project is supported by the Nation Science Foundation Continental Dynamics Program grant EAR-0507248.